Has undergone an Islington-like refurb since we last went and has the most expensive menu of any Haywards Heath/Lindfield pub - but then it's proper good food cooked from scratch, which should keep the moneyed classes happy. Need to sort out the unacceptable toilet arrangement though - gents only has a urinal and a notice directing you to the ladies if you need the toilet! The ladies is cheap & tired and they store kiddies highchairs in there! 2 dads were taking their little boys to the loo as the gents was impossible. 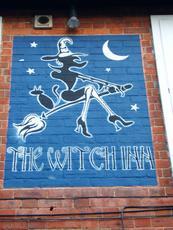 We had an excellent meal at The Witch Inn - the staff are very friendly and they all help to create a great atmosphere. Food is served every lunchtime and evening meals are available from Wed to Sat inclusive. 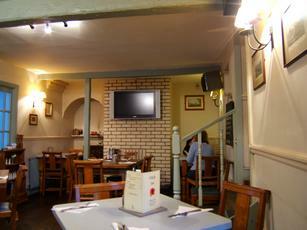 All the food is locally sourced and freshly prepared to order. Great value food. Beer a bit indifferent and generally lacking in a bit of atmosphere I think. 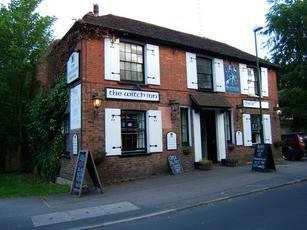 Friendly staff and landlord. Good but not great. As others have said with The Witch and The Stand Up in Lindfield you need nowt else you luck b*gg*rs. 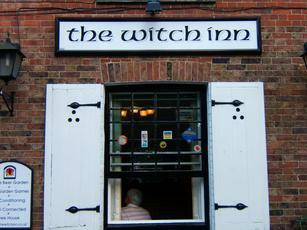 The Witch is doing really good food. It has a large outside area with an area for the kids to play in. There is no longer a pool table.